Welcoming and deceptively spacious pub in the cramped streets of Turnchapel across the water from Plymouth. The pub’s bright yellow exterior implies a tiny pub, but once inside you realise the pub is much larger – opening up into three distinct areas. These areas were probably converted from neighbouring houses. The pub is the local CAMRA group’s 2011 pub of the year and there is a good choice of real ales and one real cider.The staff are happy for you to try the different beers before you buy and they certainly all tasted well kept. My wife tells me the Skinners cider was very good too. We were at the pub to eat as well and the menu was very interesting. You might think it’s a bit pricey but when the food arrived it was delicious and the portions were enormous – even for the child’s meal we ordered. When we first arrived (at about 5:30pm) the pub was practically empty. But during our visit it filled up and the atmosphere was warm and friendly despite us being obviously tourists. 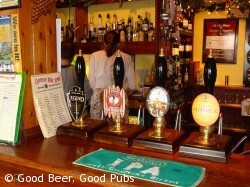 The Clovelly Bay Inn is a great pub and is certainly worth the effort in getting there. 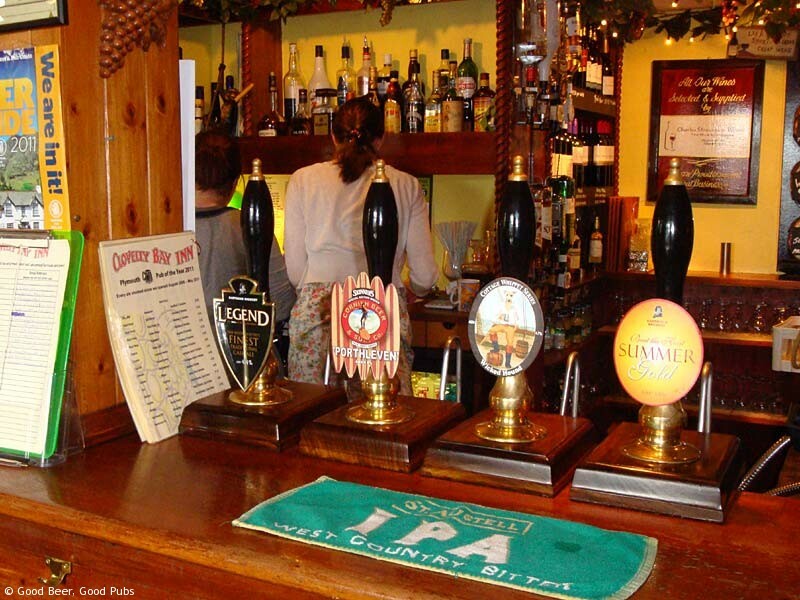 You could check out the Boringdon Arms just along the road as well – a previous CAMRA pub of the year. 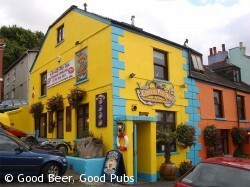 The Clovelly Bay Inn is also mentioned in South Devon Holiday Update 2011.